Originally Published in DeneenBorelli.com on 3/22/14. It sure looks like somebody forgot to lock the Congressional office door allowing Rep. Charles Rangel (D-NY) to escape. Unsupervised, Rangel went off the rails again in an unsubstantiated attack against the Tea Party during a TV interview. Someone should tell Rangel that Tim Scott, the Republican Senator from South Carolina, is black and a Tea Party supporter. But then again, facts don’t matter to a race hustler Congressman who used the power of his office to enrich himself. 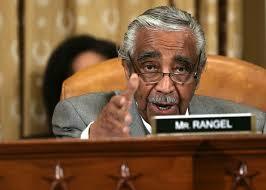 Rangel has a bigger problem than the Tea Party. He is facing a tough primary challenge from state Sen. Adriano Espaillat who narrowly lost to Rangel in 2012. Most significant, Rangel just lost the endorsement of Bronx Borough President Ruben Diaz, Jr. Diaz backed Rangel two years ago. Diaz’s flip is another blow to the 22-term incumbent. He’s the second prominent city Latino leader to switch to Espaillat after endorsing Rangel two years ago. City Council Speaker Melissa Mark-Viverito also recently backed Espaillat after lining up with Rangel in 2012. Diaz’s support could be pivotal because the newly drawn congressional district includes a portion of the Bronx, as well as the northern Manhattan neighborhoods of Harlem, Washington Heights and Inwood. Rangel’s rant just proves he has nothing to contribute regarding public policy and he is crumbling under the mounting pressure of losing his Congressional seat. I could not think of a better and fitting end for Rangel than for him to lose in a primary race. A criminal in elected office for 22 years. That says it all about Rangel, and Washington as a whole.